The year is 1988. Skateboarding is still prohibited, and the Sweet mantra was just manifested on a school paper. 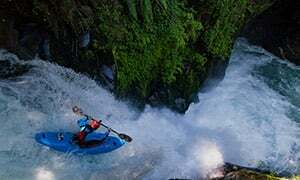 The Sweet Protection story started in Trysil, a mountain village in Østerdalen, Norway, when a group of keen river kayakers were missing the proper protection to push even harder at their sport. Stronger,​ lighter, better. The Sweet mantra can be traced back to a school paper from 1988, made by one of the founders and head of design and development, Ståle N. Møller. 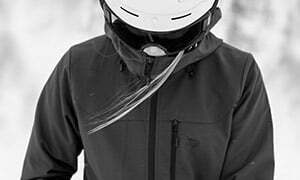 A pioneering and visionary industrial designer on a relentless mission to let action sport enthusiasts benefit from the properties of high tech materials and manufacturing methods. Ståle´s mission was fueled by ideas and inspiration drawn from California's unique board cultures. This fusion meant that outstanding functionality and performance in itself was not enough. The distinctive design and attitude should be reflected in the product, by its essential role in the creation of each concept. We create superior protection inspiring people to push their boundaries. Skateboarding was prohibited in Norway until 1989, as the only country in the world. Judged too dangerous by the government, the fuse was lit. When the skate movie “Thrasin'” came to the Norwegian mountain town Trysil in 1986, four wheels on a board got a kick-start. The boys didn’t´ care about the authorities, they wanted to skate. 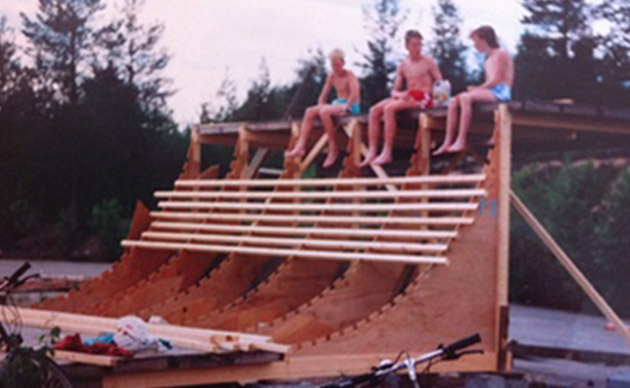 Growing up in a small town in the deep forests of eastern Norway, these kids were clueless of how the banned sport of skateboarding was developing in other parts of Norway. Pre-Internet and before cellphones, the crew got more cultural input from California than Oslo through a priest frequently travelling to the nearby Swedish border. Transworld Skateboarding and Thrasher Magazine were smuggled in to Trysil with cultural vibes from the West Coast of the US. In surf style, the local shredders were supplied with handmade boards made of fine Norwegian wood out of the garage of Ståle´s parents. A typical “cause and effect” for creative and energetic minds. Ståle´s first brand was born, and the name, Bushmade Skateboards, was characterized by the precautions surrounding their illegal skating scene. Together they had built a 7-meter-high vert ramp hidden in the woods, and this was where it all went down until the prohibition law was repealed and a better ramp was built in the center of town. With the crew skating, kayaking, snowboarding and skiing, Ståle was always busy improving and creating clothing and equipment for the boys, even making his own snowboard. And with abilities and interests like this, obviously the world needed to be explored. In the mid 90s, they made the clothes and backpacks they wanted and needed for the expeditions themselves. Off course, built to stand the harsh conditions on the biggest mountains. 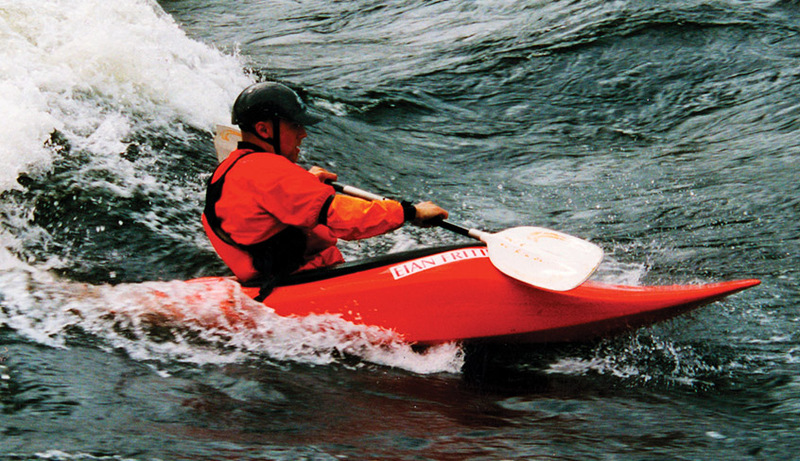 In 1997, freestyle kayaking was gaining ground. 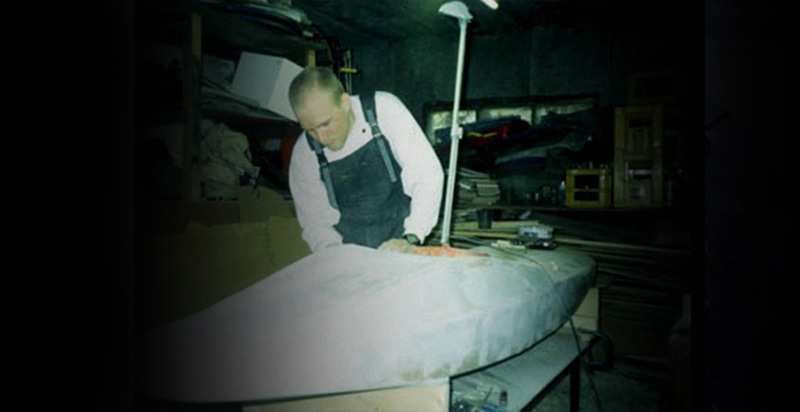 The existing kayaks were crap, and Ståle made a kayak revolution by developing a Kevlar wonder for his friend and top kayaker; Erik Martinsen. This was the first spark of the Sweet brand emerging, with a plan of starting a kayak company called “SNM (Ståle Norman Møller) Playboats”. It kind of vanished in the haze, with Ståle still in design school. 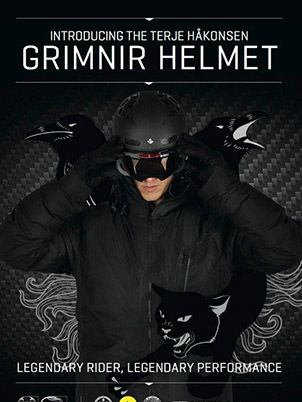 Instead he made another head turner, a carbon fiber helmet Erik could use in the freestyle kayaking world championships. The kayak equipment of those days was kind of ‘soviet agricultural chic', and Ståle's innovative approach and fresh design was breathtaking. Everybody wanted it, and soon the garage production from the early “Bushmade Skateboards” days was keeping family and neighbors awake at night again. 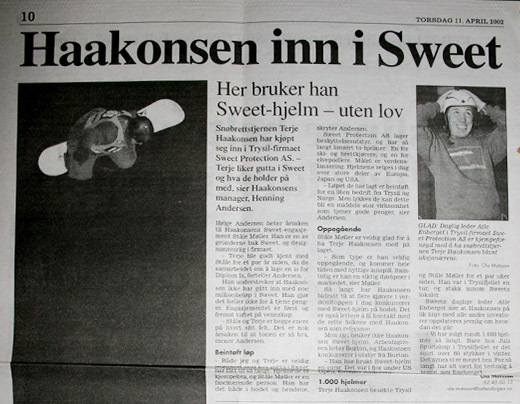 In 1999 Gøran, a member of the crew, came up with the idea of establishing a new company: “Sweet North”. Growing into action sport enthusiasts, the knowledge of the elements was fundamental for successful and safe days playing in the rivers. 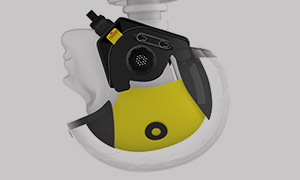 The aim was to integrate their uncompromising demand for quality and functionality into innovative products. Bringing these values and insights into the winter scene made sense, because their awareness of, and attention to, equipment and it´s performance was relentless. Half of the name was dropped, and Sweet Protection was born. The company was founded in 2000, and one of the first moves was to approach another uncompromising Norwegian; snowboard legend Terje Håkonsen. He saw the potential in the helmet prototype that was presented and joined the team. With Terje onboard, Sweet Protection made the move from the local garage to the international scene. 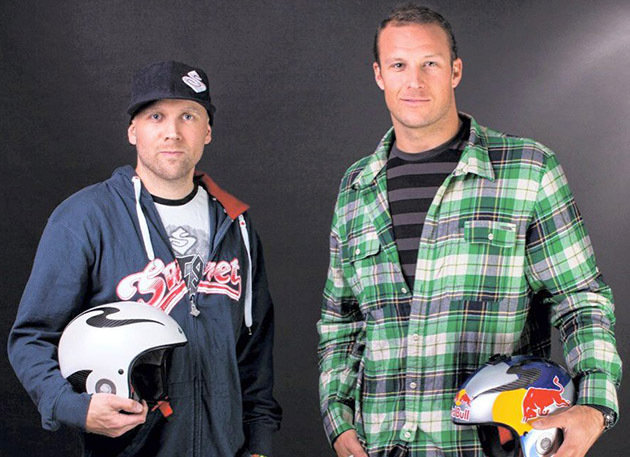 The close collaboration with Terje, in developing products, made Sweet realize the importance of team riders´ input. Today no Sweet Protection products leave Trysil without the influence of the team. In 2003 Sweet made their first ISPO appearance, and immediately won the Brand New Award for the best newcomer. The products presented had close ties to the initial, homemade gear the boys used when exploring mountains in their youth. The importance of functionality and quality in the outdoors has from the start been a core value of the company, and a cornerstone in the design principles. A seamless flow of feel and function, distinctive in design and style. 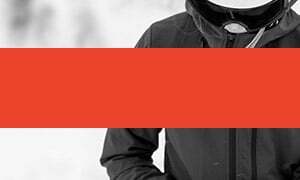 Until 2005 all helmet production was manufactured in Trysil, Norway. Due to capacity issues Sweet Protection moved the production to Italy, a necessary move to continue to grow. 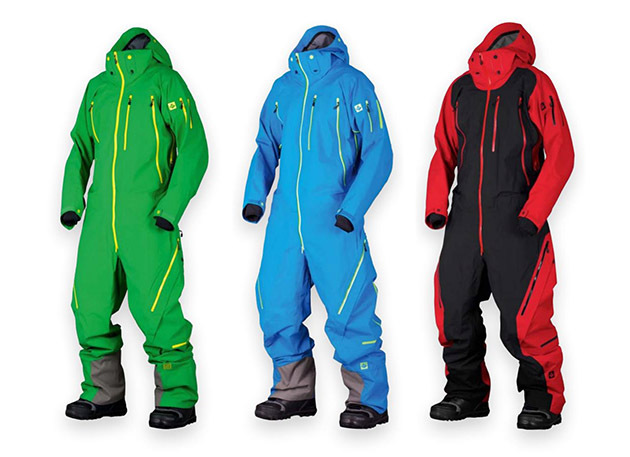 The technical clothing line continued to evolve and, in a period where all freeriders “needed” a one piece suit; Sweet Protection introduced the most technical version in the market with the Crusader Flightsuit in 2006. Inspired by the Formula 1 race cars a new category within protection was entered with the first version of the Grinder back protector in 2007. In 2009 Sweet launched a new line called Autonomy made for the freeskier and snowboarder. The same year technical paddle wear was introduced with the best waterproof membrane from Gore-Tex, great comfort and range of movement, it soon became a favorite within the paddle sport community. In 2011 the first bike helmet from Sweet was put into market aimed towards the more aggressive part of the biking community. 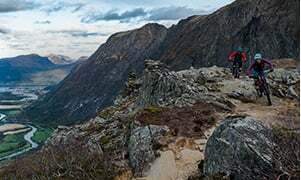 The biking range evolved to include the award-winning Bushwhacker, the go to helmet for single track biking. 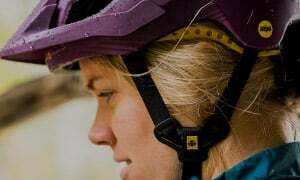 The Sweet gang continues to push revolutionary products into the market and MIPS, with their revolutionary rotational gravity impact technology, becomes an important strategic partner for Sweet, making the helmets even safer. 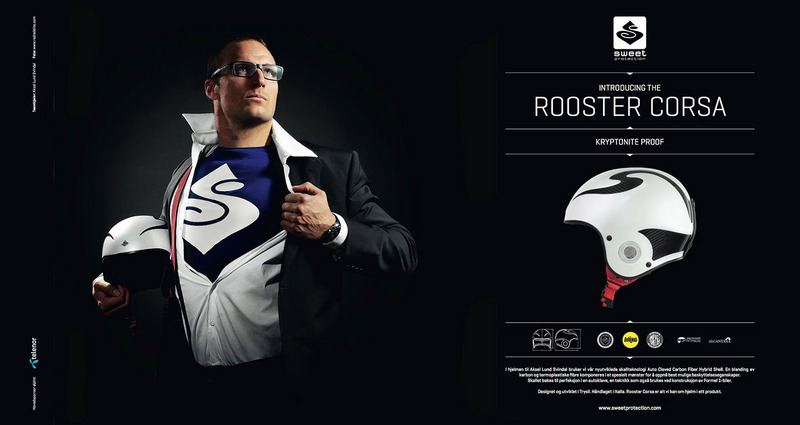 Sweet takes racing seriously and in 2012 Sweet teams up with Aksel Lund Svindal who give the hand-crafted Rooster Corsa its debut in the alpine World Cup in Sölden, Austria on October 27 the same year. The helmet, made from pre-preg carbon and thermoplastic fibers, is baked in an autoclave, the same technique used to make Formula 1 racecars. Sweet Protection continues their growth. Step by step. Bike is becoming a bigger part of the product range. In 2017 Sweet introduces a new single-track bike helmet named the Dissenter and the iconic Falconer helmet for serious road bikers. The future is bright and the motivation to make the best protection in the world is as strong as ever. We will work hard so that you can continue to push your boundaries.